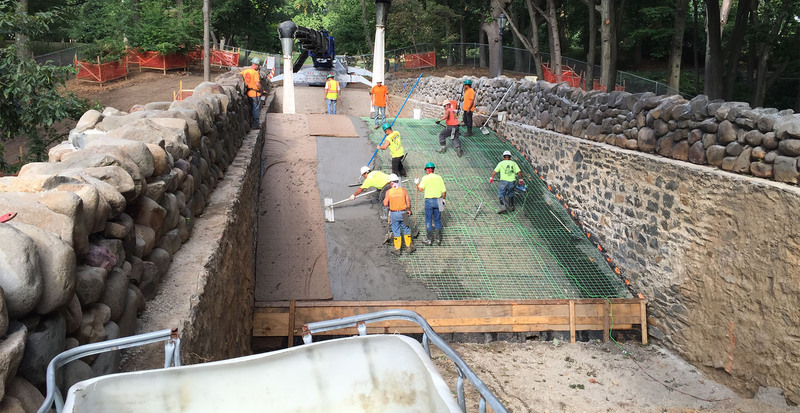 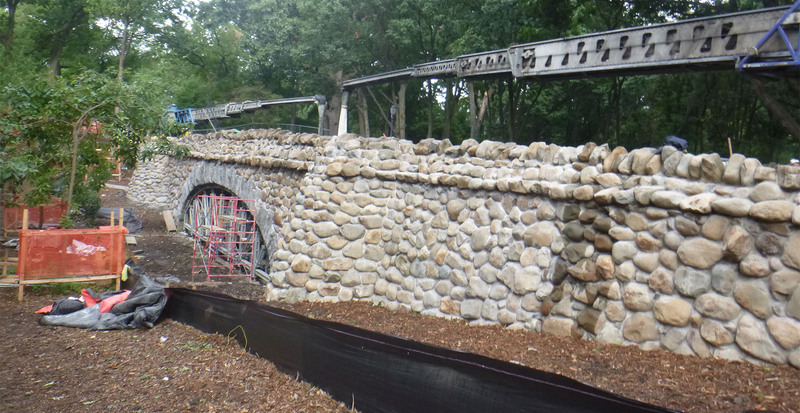 Galvin Bros., Inc. has completed the rehabilitation of the Highland Park Pedestrian Bridge in Queens, working with the NYC Department of Parks and Recreation and the NYC Department of Transportation. 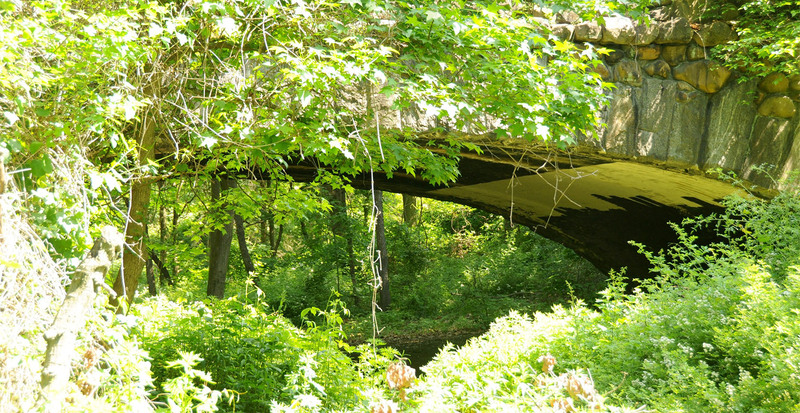 The historic bridge dates back to 1902. 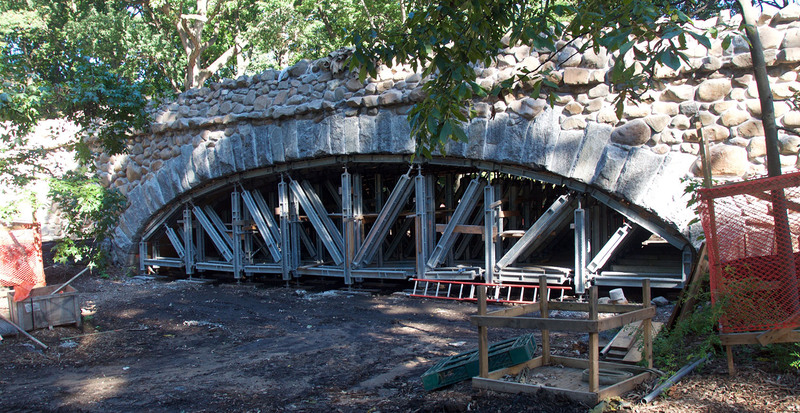 The structural condition of the bridge required substantial rehabilitation, including reinforcement of the archway and waterproofing. 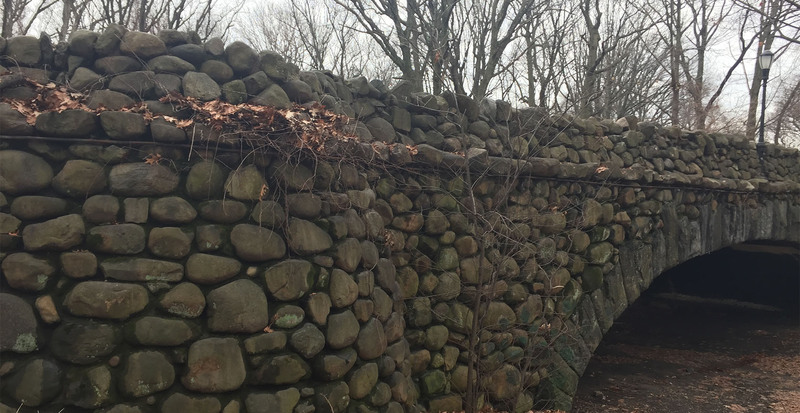 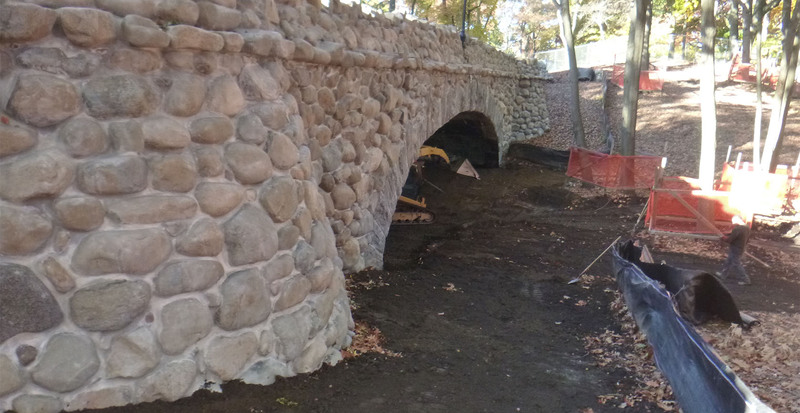 The surfaces of the bridge were cleaned, missing stones in the structure were replaced, and missing mortar was refilled and repainted to match the existing mortar. 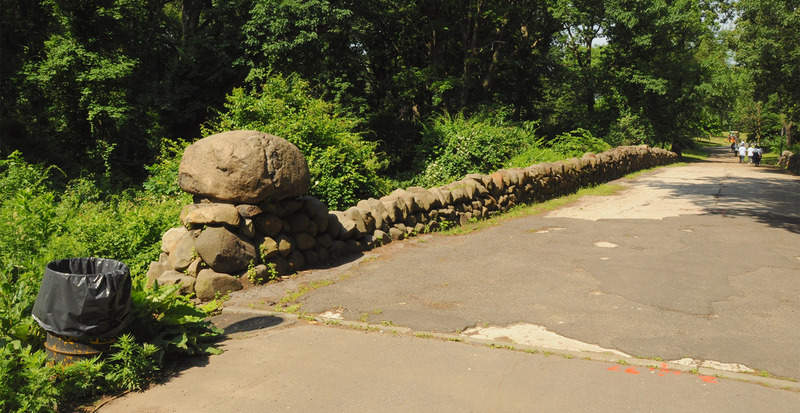 Graffiti was removed and graffiti-proofing was applied to all surfaces. 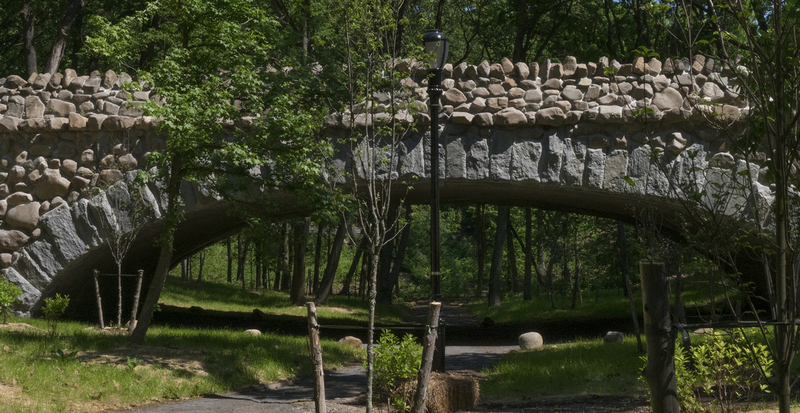 The area surrounding the bridge was also rehabilitated, with nearby streetlights replacing LED fixtures. 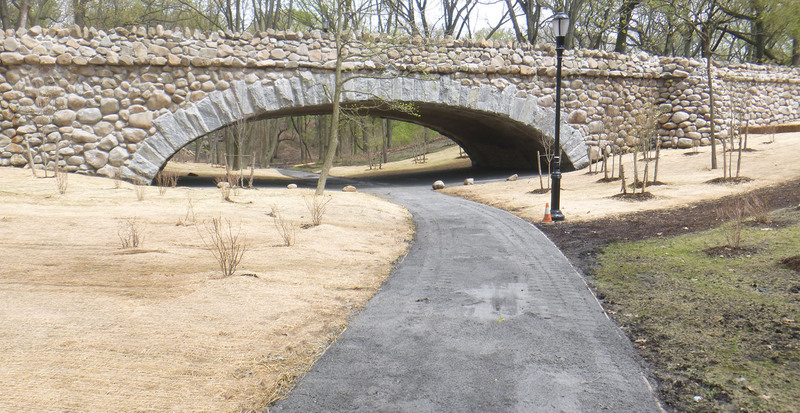 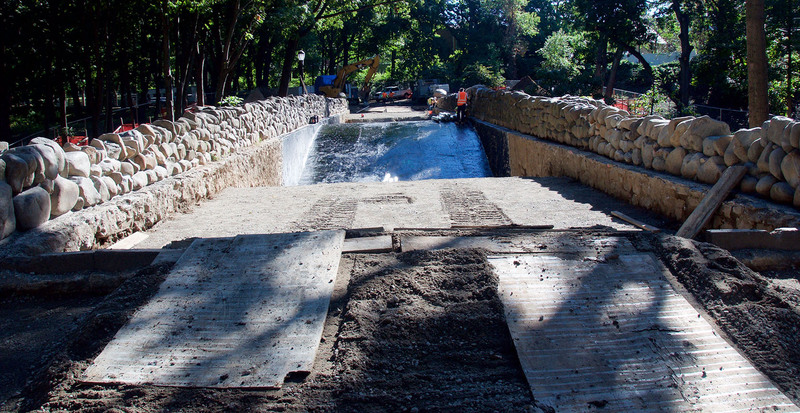 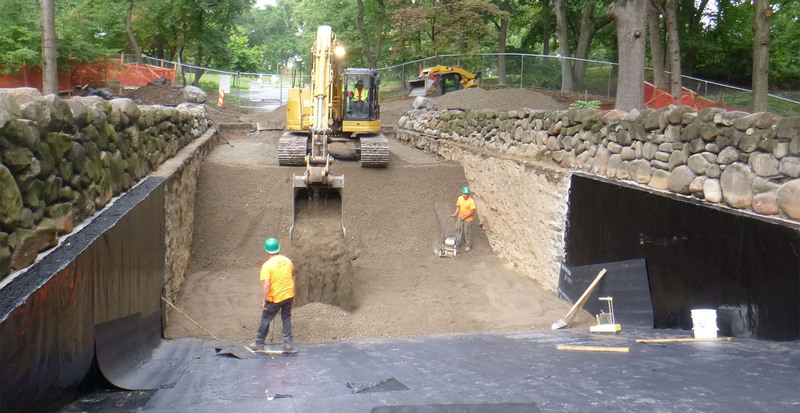 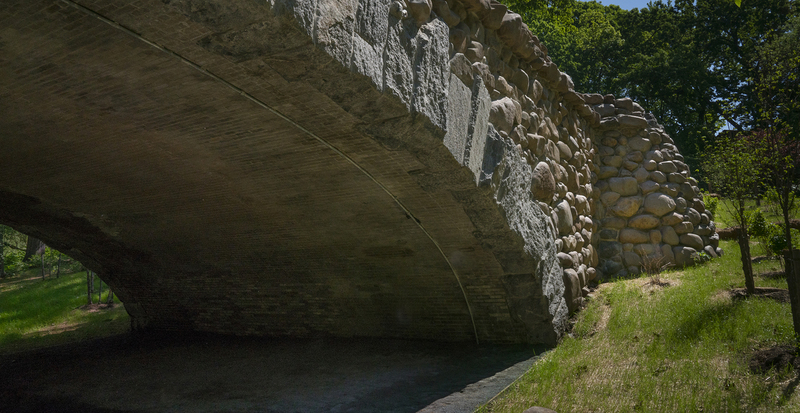 An 8-foot-wide gravel path and lighting were installed underneath the bridge’s arch. 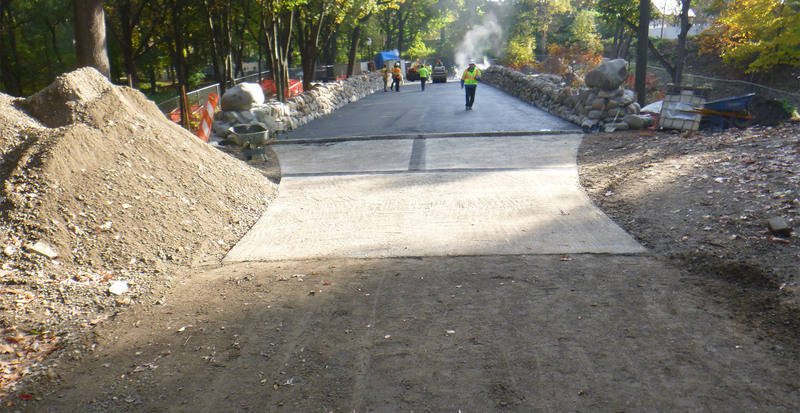 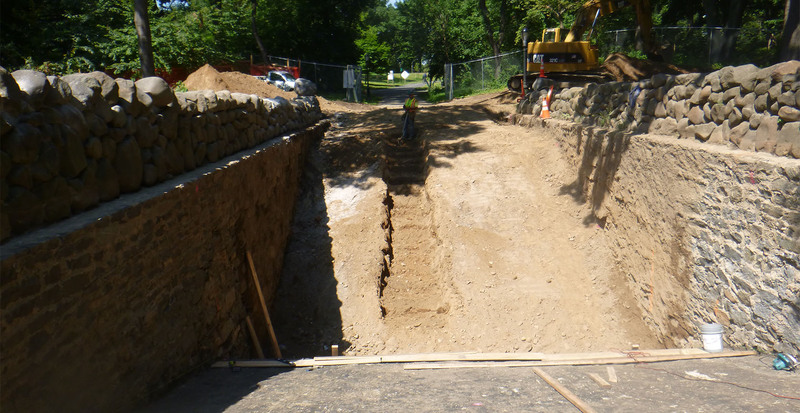 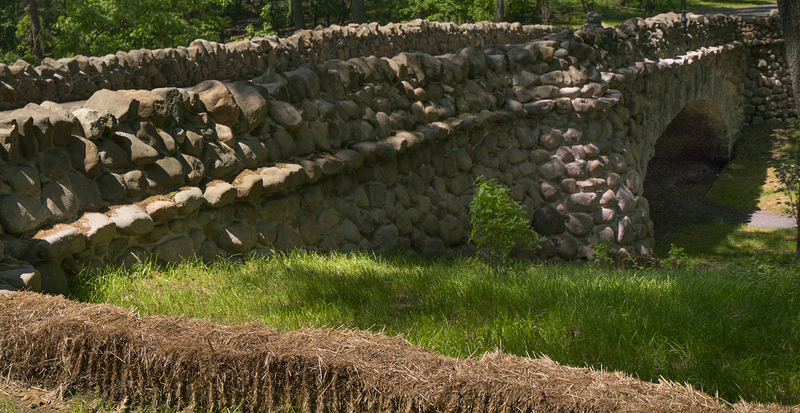 To ensure proper drainage and control soil erosion, new curbs were installed and the area was regraded. 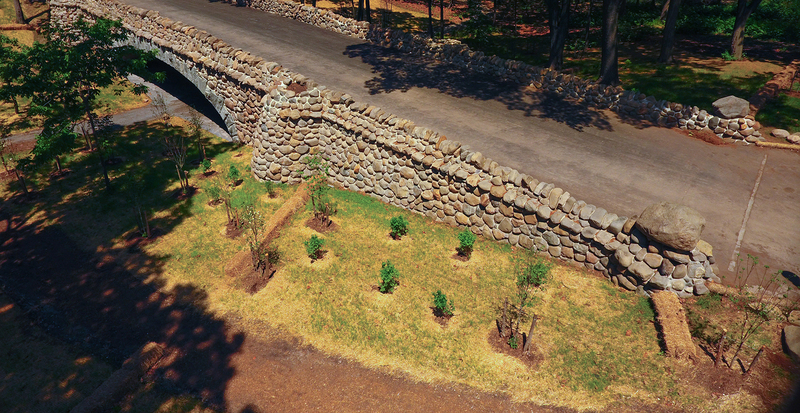 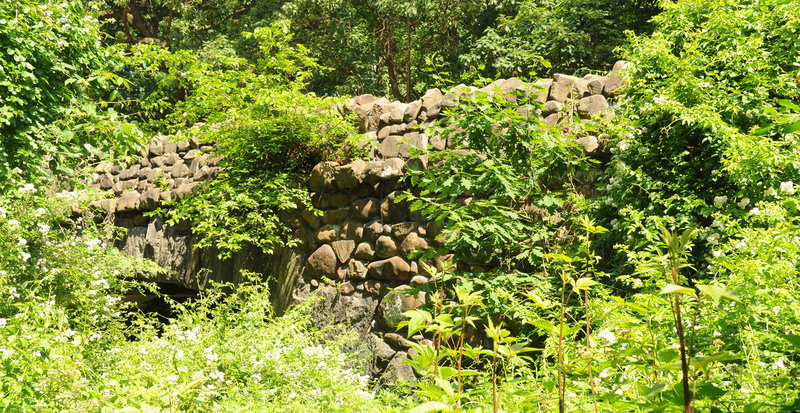 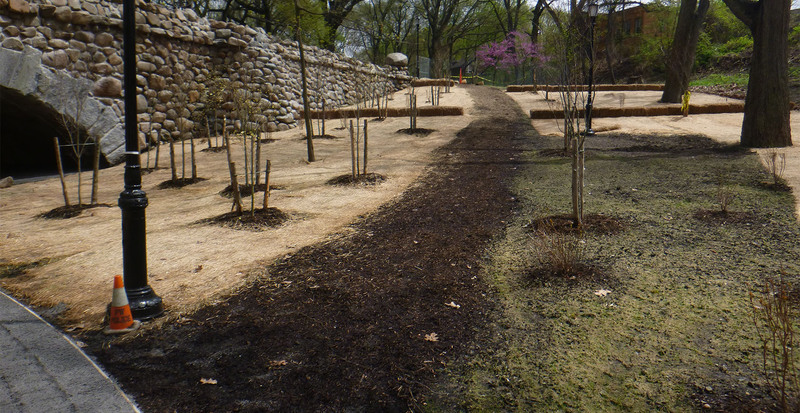 More than 80 trees and shrubs were planted near the bridge.